Sam Turner is the Head of Inclusion & Diversity for the Westpac Group. She is an energetic and engaging leader who is passionate about people, and equality. Sam believes that everyone has the right to feel safe, comfortable and included in work-life conversations and culture, and that organisations have a responsibility to foster this environment. 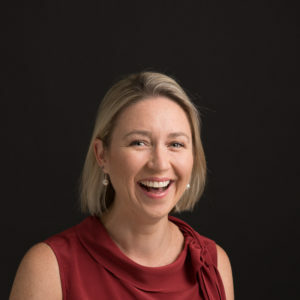 Sam has been with Westpac for four years, prior to her current role she was the Business Manager for NSW Regional and ACT Retail Banking and has also held various senior roles at NAB, BHP, and Deloitte. Sam was the Overall Winner of the 2016 Internal Westpac Women of Influence Awards for her thought leadership and execution in the Inclusion & Diversity space. She was recently named one of Australia’s Outstanding 50 LGBTIQ leaders in the Deloitte/Google 2018 list and is a much sought after speaker. Sam holds an Honours degree in Commerce, and a Postgraduate Diploma of Psychology.